Looking through images of "North Lake" recently, this one caught my eye. It was taken on 7 July 2013 while climbing up to the ice cap margin. The view is towards the NW, with ice from the north side of Qori Kalis valley visible in the upper right-hand corner. Note that much of the lake surface is frozen, which is typical during the dry season when air temperature is lower and clear sky at night allows radiational cooling. 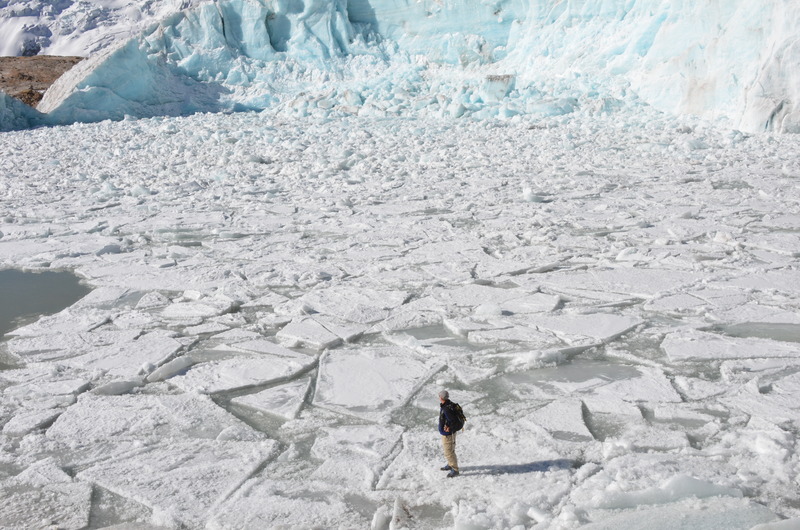 In the portion of the lake barely visible to the right, blocks of ice were strong enough (for Carsten) to walk out onto. This image is a different perspective, a wider field of view (81°) from the peninsula of bedrock just beneath the blue ellipse. 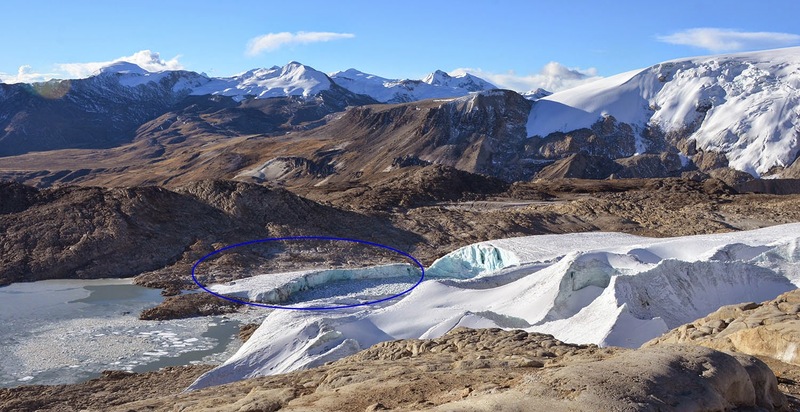 It was taken only 15 months later, on 13 October 2014, and a large volume of ice is gone entirely! Here is part of this section in 2012, with a person for scale. This lower image can be explored in greater detail here, and the GigaPan below provides yet another perspective on the lake, also from October 2014. Retreat of the glacier will likely continue this year, and soon, the margin will no longer be in contact with the lake. 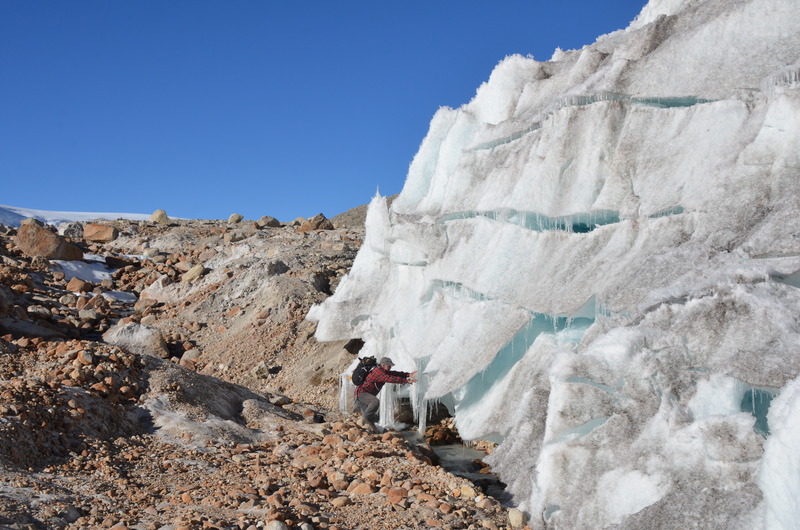 Within the past few decades, a series of proglacial lakes have similarly formed in the area due to ice retreat, including the well-documented Qori Kalis, and several others. Efforts continue to understand the rate of ice-volume change underway, as well as the implications for natural and human systems.